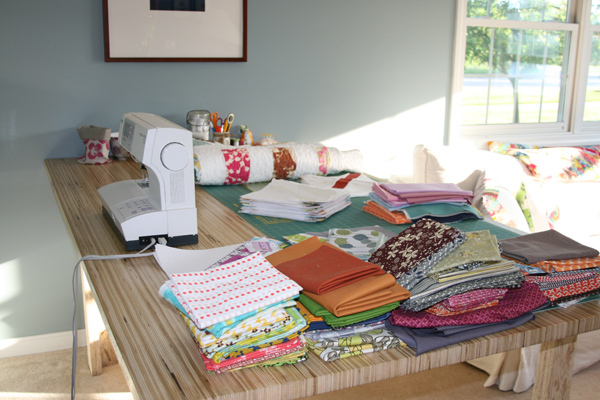 When I started sewing, I very quickly took over the dining room table (and surrounding areas!) as sewing central. I wasn’t fond of pulling everything out and then putting it all away every time I wanted to sew, so pretty soon it just stayed out. All the time. 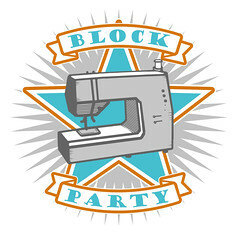 And if you ever had walked into our house, you were kind of accosted by sewing supplies, quilts in progress, fabric, and lots of little threads. I admit it wasn’t ideal. We talked about moving everything into the den so that it was a bit more contained (and also so it wasn’t the first thing you saw when you walked in the front door!). I tried to find a table with the right dimensions, but it didn’t seem to exist. However, as luck would have it, my sister’s boyfriend designs and builds some incredible pieces of furniture, and after hearing me talk about it incessantly, agreed to build this table. I gave him the dimensions (BIG!) and he designed a perfect crafting table. It arrived yesterday and I’m so blown away with how gorgeous it is! He pieced the top with strips of wood, and it has the most amazing color and design. I almost hate to have to cover some of it up with my cutting mats. But cover it up I did… because what’s a crafting/sewing table without all your sewing supplies?! Thank you so very much Erich! I absolutely love it and couldn’t be happier!! The design wall still needs to be moved since it no longer seems appropriate over the dining room table. But it will be perfect over the new sewing table! 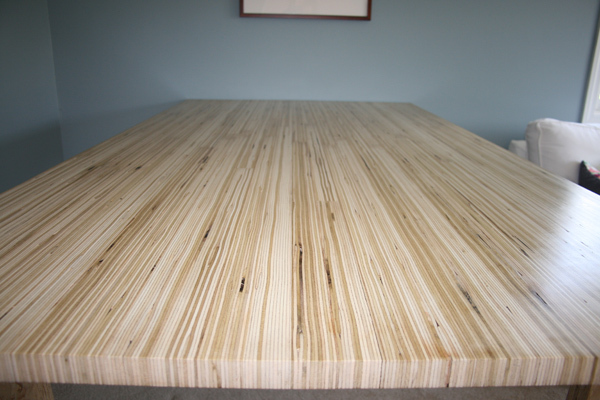 The table measures 7 feet long by 44 1/2″ wide and just a bit over 34″ high. This entry was posted in General and tagged craft space, furniture, handmade, sewing table. Bookmark the permalink. 66 Responses to a new sewing table! Great table – but why would you move that design wall? It’s like a constantly evolving piece of modern art! Congrats on your gorgeous new space. I think the design wall in the dining room is rather lovely! Perhaps not as convenient to your new space though, eh? So great!! It looks perfect. I am also on the hunt for a sewing table and cutting table. 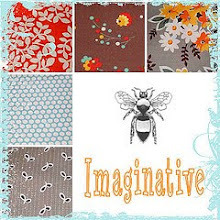 My sewing room is being renovated on and want to get something that is ideal. My current table is too small and the cutting table is being vanished. So looking for something that is functional but also nice to look at! All the functional ones are not good looking and very expensive. What are the measurements of the table? Enjoy sewing on it! That table is insanely gorgeous!!! And you should leave the design wall, it looks great there!! That table is a work of art in itself! So beautiful…and such a nice big size. Enjoy your new work space! oh my! looks like you may have gotten it covered before we even left the driveway. sure didn’t take you long to adjust to your new space! awfully nice to see your dining room table again…i’d almost forgotten what it looked like! What a pretty table and home! Love the quilt on the design wall! One question – do you happen to know the name and brand of your paint color? It is beautiful! That table is amazing! And that design wall is short my blocks… sorry I’m so late with them. I will be catching up in early June – I promise! Gorgeous table! He’s got quite a talent for tables! I love all of your quilts laying around, and now you’ve got that beautiful light to sew in. I’m a bit jealous! Wow – that is a beautiful table! …and it’s so fun to see your house and all of your finished products decorating it! What a beautiful table! And a beautiful home! I love your wall colour in the den. And I think that the design board looks like awesome, interesting art hanging in the dining room! Gorgeous! Having a huge table makes such a difference [I’m currently sewing in the most unergonomic getup possible]. Also, it’s really fun to see little peeks of the inside of your house! way hey the table looks great lucky you. Enjoy using it. Great table! How appropriate to have a pieced table top on which you’ll be piecing so many quilts! Thanks for sharing the new set up with your yummy fabrics in a pile. I l love your design wall as well. Have you done a post about how you created it? The table is fantastic! And I think the design wall is a great addition to your dining room (though probably not too convenient to your new sewing space). It’s like an art installation that changes and gives your dining room a makeover when you work on different projects. Just did a quick search and found your Design Wall post. Hmm… now where could I fit mine in my apartment? That was your design wall? Seriously, I thought it was artwork. He really did an awesome job on the table. WOW… ***LOVE*** the pieced top! Seriously! wow, that table is awesome! itÂ´s a piece of art itself. You are a lucky girl!! He must charge fortunes for his furniture. That is so beautiful!! First off, that table is AWESOME…seriously awesome! I had been doing all of my sewing at our table for years until I very recently moved a desk into the living room so that I could have little space for myself. Of course, all of my sewing supplies are throughout the house but at least they have their own place…right? Anywho, enough of my rambling! As for your design wall, I thought that WAS art up there. I say leave it. It looks fantastic right where it is! You are so LUCKY! That table is absolutely to die for! I think the design wall is perfect there, rotating art. If your house is like mine everyone has an opinion, why not share it over dinner. That is one Beautiful table! I have the same Freshcut fabric decorating my kitchen eating area right now too. Oohh congratulations on your new sewing space! And on such an amazingly beautiful table! WOW! Erich is T A L E N T E D! And yup, your design wall is gorgeous right where it is! LOL! With the frame it is like a revolving art piece! Love it!! That table is incredible! congrats on the new sewing area. The table is phenomenal. And I agree with everyone else about leaving the design wall there. 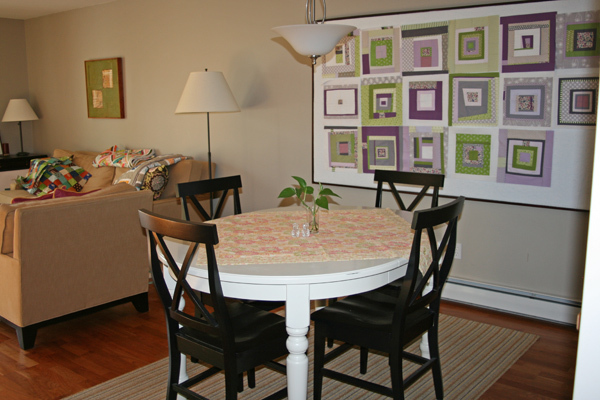 In fact….since the walls in my sewing room don’t have enough space for a design wall, and the dining room is just across the hallway, and since we rarely use the dining room anyway….I’m thinking I should put my design wall in the dining room. And I love the quilts in the background of the pictures. Really beautiful! I love the design wall there, at first glance I thought it was a completed quilt. The table is absolutely beautiful. Great workmanship! YEAH on your new space!! Such a great table! I love the look of the table top… I agree it’s a shame to cover it! Hehe I like the idea of two design walls… you can’t have too much design wall space! That is big! How you didn’t start in the den to begin with is beyond me. Still in the constant sewing/eating/office battle, but no choice with a family and two home based business in the midst of a reno. One day… That is just a gorgeous table! THis is a gorgeous table. I have been looking for a farm table on craigslist for the same reason! Aaack! I don’t think I could cover up that BEAUTIFUL table with a cutting board – it is too beautiful! 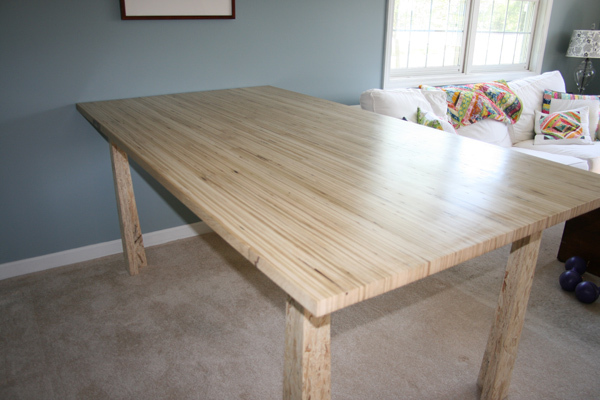 Although I have a custom farm table as my cutting table too….almost tragic to cover it. And you absolutely must keep your design wall there, it’s awesome! LOVE your WIP. HOORAY!!! What a lovely table: it looks beautiful with all of your fabric on it, and when it gets cleaned off in preparation for the next project, you can admire the beautiful wood. I started sewing at our kitchen table, too, and it was such a relief to finally have a table of my very own. LOOOVE that table btw. It’s BEAUTIFUL! Oh, wow! That table is such an amazing work of art! A work of art on which to create art – lovely. LOVE your table! I’m stuck on our dining room table too and it’s a real pain. Can’t wait to live somewhere bigger and have a proper sewing room. Does your BIL have a website? Where can we get this beautiful furniture?! Great table AND I thought your design wall was art as well! Curious – what sewing machine do you use? Ashley, what kind of chair do you sit on when quilting? My chair just doesn’t seem to sit high enough when I’m trying to do machine quilting. Thinking I migiht need to get more of a “drafting” chair? What a talented woodworker. That table is really beautiful. What a beautiful table. I also love the design wall, looks like a work of art. Leave it there. That table is gorgeous. Leave the design board! Ever changing art as you dine…how fun! I love your story about using the dining room table – that’s where my sewing is set up right now (and has been for the past 6 months or so) – my husband, God love him, just accepts it as part of loving me! The sewing machine has a permanent “place setting” at the table. Your new table is wonderful, though- such a perfect size. And I agree with everyone that you should leave the design wall over the dining room table – such unique art! By the way, what is it made of?? Please let Morgan know he has lots of sympathy from my husband! We are living in a TINY 400sq ft “cube” don’t really know what else to call it, while we build our home. And the fabric, quilts in progress, notions etc are EVERYWHERE. I keep reminding him that as soon as the house is complete (hopefully in a year!) I will have my own designated sewing room and I promise we will have a dining table, for dining!! Gorgeous! This looks like the perfect size and surface for sewing and quilting. I love the light color and smoothness of the top. How nice to have your own space now! Keep the design board and add another! Your new table is wonderful! He did a great job. What a great size to work on, enjoy your new space! Beautiful! I love the grain, he does nice work. It’s really nice to know where all of your beautiful quilts were born – at the dining room table, just like so many generations of quilts! You so deserve that perfect new table, and I love that your fabric and sewing machine are now right at home in the den, like any beloved family member. Congratulations! I love it!! Thanks for the inspiration! And congrats!!!!!! It’s all so beautiful! Good for you. What a fabulous table. Though do you miss sewing in the dining room? I prefer to sew in there because then I can be in the thick of things doing on in the household. I don’t like being left out. haha. Yes nice table…but I’m so inspired by the teeny peeks into your living spaces! So much so, I blogged about it. I feel a little stalkerish, but forgive me? I love the design wall and the table! Wow! What kinds of wood did he use looks like Bamboo possibly. Gorgeous! Thanks for the inspiration! The new table is absolutely gorgeous. That wood is beautiful! I agree, the design wall looks good there . . . plus, can you really have too many design walls?? Wow, that’s not just a table, it’s a work of art! The colours in the wood are simply beautiful.